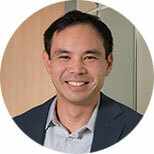 Stephen Lim, PhD, is a Professor of Health Metrics Sciences and Senior Director of Science and Engineering at the Institute for Health Metrics and Evaluation (IHME) at the University of Washington. He is also Adjunct Professor of Health Services at the University of Washington. Dr. Lim is actively involved in a number of areas of work at IHME. He is the co-principal investigator of the Global Fund Prospective Country Evaluations, a collaboration with The Global Fund to Fight AIDS, Tuberculosis and Malaria. He also works on the Global Burden of Disease study and monitoring the effective coverage of interventions and health systems. He has published widely in leading journals. Prior to joining IHME in 2007, Dr. Lim was a Senior Research Fellow at the School of Population Health at the University of Queensland and was based at the Ministry of Public Health in Thailand, where he led a major project on health information system capacity building with a focus on burden of disease and cost-effectiveness analysis. Previously, Dr. Lim worked at the Evidence and Information for Policy Cluster at the World Health Organization (WHO), where he was a key member of the Choosing Interventions that are Cost-Effective (CHOICE) project. Dr. Lim has been a member of numerous international expert groups, including the Technical Advisory Group for the US President's Malaria Initiative Impact Evaluation and The Lancet’s Chronic Disease Action Group. Dr. Lim studied at Monash University in Australia, where he received a BA in Philosophy and Psychology, a BS in Pharmacology (Hons), and a PhD in Epidemiology and Health Economics. Mozaffarian D, Fahimi S, Singh GM, Micha R, Khatibzadeh S, Engell RE, Lim S, Danaei G, Ezzati M, Powles J, for the Global Burden of Diseases Nutrition and Chronic Diseases Expert Group (NUTRICODE). Global sodium consumption and death from cardiovascular causes. New England Journal of Medicine. 2014 Aug 14; 371:624-634. doi: 10.1056/NEJMoa1304127. Driscoll T, Jacklyn G, Orchard J, Passmore E, Vos T, Freedman G, Lim S, Punnett L. The global burden of occupationally related low back pain: estimates from the Global Burden of Disease 2010 Study. Annals of the Rheumatic Diseases. 2014 Mar 24. Micha R, Khatibzadeh S, Shi P, Fahimi S, Lim S, Andrews KG, Engell RE, Powles J, Ezzati M, Mozaffarian D, on behalf of the Global Burden of Diseases Nutrition and Chronic Diseases Expert Group (NutriCoDE). Global, regional, and national consumption levels of dietary fats and oils in 1990 and 2010: a systematic analysis including 266 country-specific nutrition surveys. BMJ. 2014 Apr 15. doi: 10.1136/bmj.g2272. Burnett RT, Pope CA, Ezzati M, Olives C, Lim SS, Mehta S, Shin HH, Singh G, Hubbell B, Brauer M, Anderson HR, Smith KR, Balmes JR, Bruce NG, Kan H, Laden F, Prüss-Ustün A, Turner MC, Gapstur SM, Diver WR, Cohen A. An integrated risk function for estimating the Global Burden of Disease attributable to ambient fine particulate matter exposure. Environmental Health Perspectives. 2014 Feb 11. Powles J, Fahimi S, Micha R, Khatibzadeh S, Shi P, Ezzati M, Engell RE, Lim SS, Danaei G, Mozaffarian D, on behalf of the Global Burden of Diseases Nutrition and Chronic Diseases Expert Group (NutriCoDE). Global, regional, and national sodium intakes in 1990 and 2010: a systematic analysis of 24 h urinary sodium excretion and dietary surveys worldwide. BMJ Open. 2013 Dec 23;3:e003733. doi:10.1136/bmjopen-2013-003733. Powles J, Fahimi S, Micha R, Khatibzadeh S, Shi P, Ezzati M, Engell RE, Lim SS, Danaei G, Mozaffarian D. Global, regional and national sodium intakes in 1990 and 2010: a systematic analysis of 24 h urinary sodium excretion and dietary surveys worldwide. BMJ Open. 2013. 3:e003733. doi:10.1136/bmjopen-2013-003733. Ng M, Gakidou E, Murray CJL, Lim SS. A comparison of missing data procedures for addressing selection bias in HIV sentinel surveillance data. Population Health Metrics. 2013; 11:12. Devries KM, Mak JYT, Garcia-Moreno C, Petzold M, Child JC, Falder G, Lim S, Bacchus LJ, Engell RE, Rosenfeld L, Pallitto C, Vos T, Abrahams N, Watts CH. The global prevalence of intimate partner violence against women. Science. 2013 June 20; DOI: 10.1126/science.1240937. Straney LD, Lim SS, Murray CJL. Disentangling the effects of risk factors and clinical care on subnational variation in early neonatal mortality in the United States. PLoS ONE. 2012;7(11):e49399. doi:10.1371/journal.pone.0049399. Chisholm D, Baltussen R, Evans DB, Ginsberg G, Lauer JA, Lim S, Ortegon M, Salomon J, Stanciole A, Tan-Torres Edejer T. What are the priorities for prevention and control of non-communicable diseases and injuries in sub-Saharan Africa and South East Asia? British Medical Journal. 2012 Mar 2; 344:e586. Danaei G, Finucane MM, Lin JK, Singh GM, Paciorek CJ, Cowan MJ, Farzadfar F, Stevens GA, Lim SS, Riley LM, Ezzati M, on behalf of the Global Burden of Metabolic Risk Factors of Chronic Diseases Collaborating Group (Blood Pressure). National, regional, and global trends in systolic blood pressure since 1980: systematic analysis of health examination surveys and epidemiological studies with 786 country-years and 5.4 million participants. The Lancet. 2011; doi:10.1016/S0140-6736(10)62036-3. Lim SS, Dandona L, Hoisington JA, James SL, Hogan MC, Gakidou E. India's Janani Suraksha Yojana, a conditional cash transfer programme to increase births in health facilities: an impact evaluation. The Lancet. 2010 Jun 4; 375:2009–2023. Lim SS, Gaziano TA, Gakidou E, Reddy KS, Farzadfar F, Lozano R, Rodgers A. Prevention of cardiovascular disease in high-risk individuals in low-income and middle-income countries: health effects and costs. The Lancet. 2007 Dec 15; 370:2054–2062. Aekplakorn W, Hogan MC, Chongsuvivatwong V, Tatsanavivat P, Chariyalertsak S, Boonthum A, Tiptaradol S, Lim SS. Trends in the prevalence of overweight and obesity, and associations with urban/rural residence and education in Thailand, 1997 to 2004. Obesity. 2007; 15:3113-3121. Mendis S, Lindholm LH, Mancia G, Whitworth J, Alderman M, Lim SS, Heagerty T. World Health Organization and International Society of Hypertension (ISH) risk prediction charts: assessment of cardiovascular risk for prevention and control of cardiovascular disease in low and middle income countries. Journal of Hypertension. 2007; 25:1578-1582. Gartner CE, Hall WD, Vos T, Bertram MY, Wallace AL, Lim SS. Assessment of Swedish snus for tobacco harm reduction: an epidemiological modelling study. The Lancet. 2007; 369:2010-2014. Aekplakorn W, Abbott-Klafter J, Premgamone A, Dhanamun B, Chaikittiporn C, Chongsuvivatwong V, Suwanprapisa T, Chaipornsupaisan W, Tiptaradol S, Lim SS. Prevalence and management of diabetes and associated risk factors by regions of Thailand: Third National Health Examination survey 2004. Diabetes Care. 2007; 30:2007-2012. Evans DB, Lim SS, Adam T, Tan-Torres-Edejer T. Evaluation of current strategies and future priorities for improving health in developing countries. British Medical Journal. 2005; 331:1457-1461. Adam T, Lim SS, Mehta S, Bhutta ZA, Fogstad H, Mathai M, Zupan J, Darmstadt GL. Cost effectiveness analysis of strategies for maternal and neonatal health in developing countries. British Medical Journal. 2005; 331:1107-1110. Lim SS, Vos T, Peeters A, Liew D, McNeil JJ. Cost-effectiveness of prescribing statins according to Pharmaceutical Benefits Scheme criteria. Medical Journal of Australia. 2001; 175(9):459-464.